Learn about the great work The Detroit Greenways Coalition does. Beaumont Hospital and Oakland County teamed up for the project. 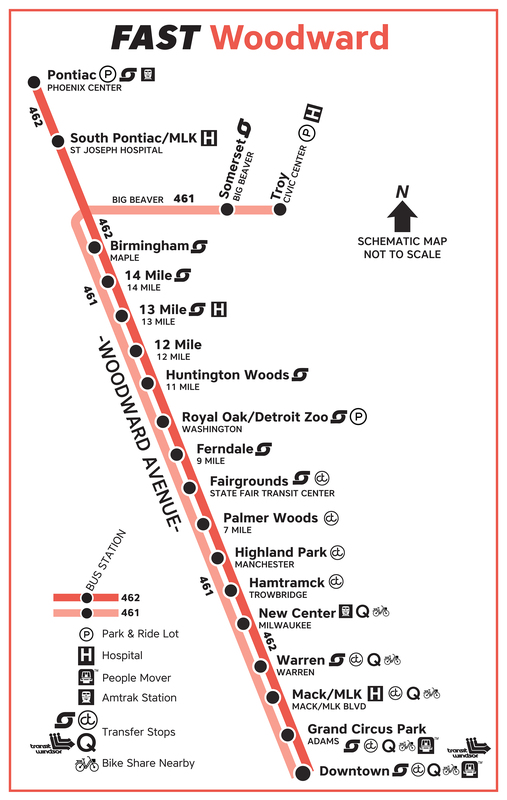 6.6-mile streetcar loop serving 12 stops on the Woodward Corridor in Detroit. Public bus transportation for Macomb, Oakland and Wayne County. 2.94-mile long automated people mover that runs in downtown Detroit’s Business District.